This shifter romance is currently free at all major retailers. It has a Goodreads average rating of 3.64 and I really enjoyed the handling of the dead heroine. This is book 4 in the Revelers series. Darkness Falls (In Dark & Deadly) available free as a standalone. I am almost literally about to tear my hair out over these stories. I simply adore them, they feel so fresh and interesting, so much so that I just want to settle down and dig in, but she…just…keeps…dropping…snippets. In addition, while the first story is free, the rest are all 2.99 so this is starting to feel like some awfully expensive snippets. This installment returns primarily to Jordan and Rook. When Rook is kidnapped, Jordan will do anything to rescue him, even teaming up with Vince, the man who once tried to betray her. Kellison has expanded the Reve world once again with this installment. And damn it, I’m still fascinated, still enthralled with what she’s building here. While I was expecting this to be Vince’s story, it’s really more of an expositional piece that furthers the plot arc, world building, and introduces us to what Vince’s story will be, and who his heroine is-and heads up she’s a terribly interesting anti-heroine (we so rarely see those). The 5th story will be out August 11, and I don’t know whether to hope it’s the last, or hope for more. In a way, I’ll be disappointed if the next is the last story, but honestly, I think I’ll be more disappointed if it isn’t. This is the first entry to this series and this family. So we meet probably all the characters and get quite a bit of background and plot involving them. This story seems to be less about Blake and Jaxi and more about setting up for the rest of the series. And that’s ok, because I don’t think Blake and Jaxi were interesting enough, or compelling enough to be the main attraction. I didn’t dislike the story, but those two didn’t draw me in. More of the focus and interest, in my opinion, was on Travis, Matt, and Gabe. This is a light, mildly entertaining read with no real punch, but read it anyway to get the background you will need for the rest of the series. Overall I tenjoyed the series, so if a family saga with romance sounds like your cup of tea, pick this up not for Blake & Jaxi’s story, but to see if you want to find out more about the rest of the cast. 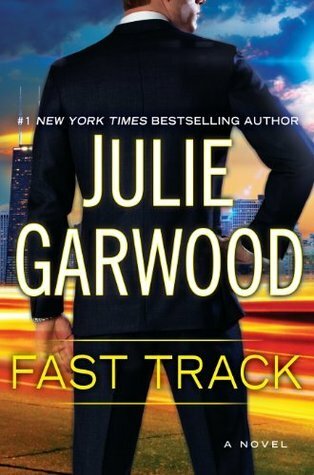 Fast Track is book 12 in the Buchanan-Reynard series. I fell in love with this series from the start, and I have been waiting for this particular couple since 2004 when I read Murder List, and when I read Fire & Ice (which I didn’t exactly love) it only whet my appetite further. Man that makes me feel old. Anyway, after about book 6, the series (in my not so humble opinion) got a little spotty in terms of quality and enjoyment, but I had been hanging on and holding out for this one. So, while this book should work well enough as a stand-alone (there’s no encompassing story arc through this series), I definitely don’t think you should read it without reading at least 1-7, because they encompass either the best of the bunch and/or characters that will be involved in this particular story. So, Cordelia has been in love with Aiden (he’s the brother of one of her two best friends) since she was a very little girl, but he of course has refused to admit he sees her as anything more than his little sister’s friend. When Cordie’s father dies from a heart attack and life-changing secrets are revealed, it forces her to accept that she just cannot keep living her life waiting for something that may never happen. Naturally, because this is romancelandia, that’s when trouble starts and sparks fly. I am going to have to admit, I am giving this book some serious nostalgia points and points for simply not completely disappointing me after a decade long wait, that being said, it didn’t blow me completely out of the water. Don’t get me wrong, I really enjoyed this one, quite a bit more than Fire & Ice as a matter of fact. Julie Garwood has a way of writing that makes you see the characters, and for the most part even like them, and that is certainly the case here. There’s no TSL moments and they aren’t Mary Sue’s either. I also like how the plot is kind of twisty. Both main characters have a lot going on in their lives, and both plot lines are plausible for the strange occurrences (discounting the fact that both characters are of course fabulously wealthy). But, when it comes down to the end, I feel like the resolutions are given short shrift after all the character growth and action. Some of that is because one particular point offended my sense of justice and vengeance, but I think even if it didn’t I would still feel like things were wrapped up too neatly and quickly. In the end, I am giving this 4 stars (with the aforementioned bonus points) and would definitely recommend this book to anyone who has loved the series, including the ones who have given up on it since way back after Shadow Dance. I don’t particularly recommend it for new readers though; unless you have an interest in the beginning of the series-in which case, I say start at the beginning because if you are a fan of romantic suspense, I doubt you will be disappointed.